With an abundance of mountains, coastline, vineyards, forests; we are so lucky to live in the Western Cape. 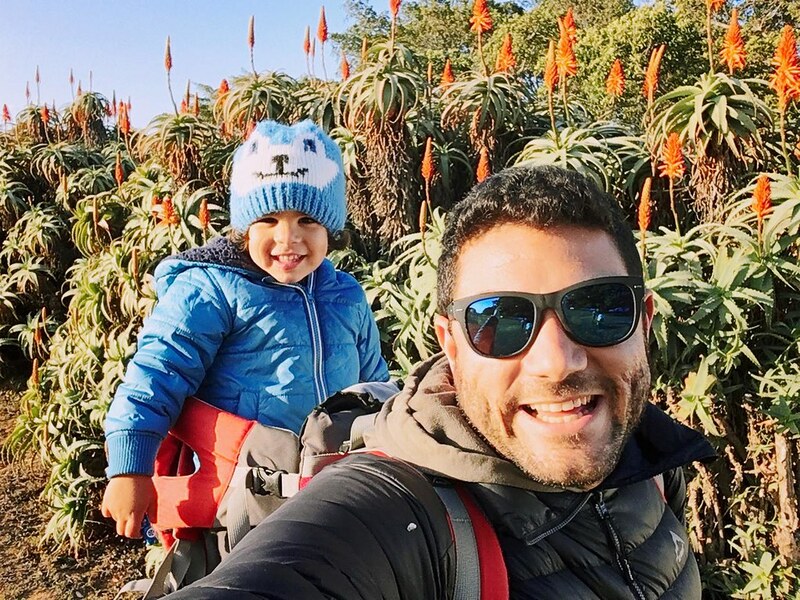 Traveling with kids is quite a different ballgame from solo or couples travel. 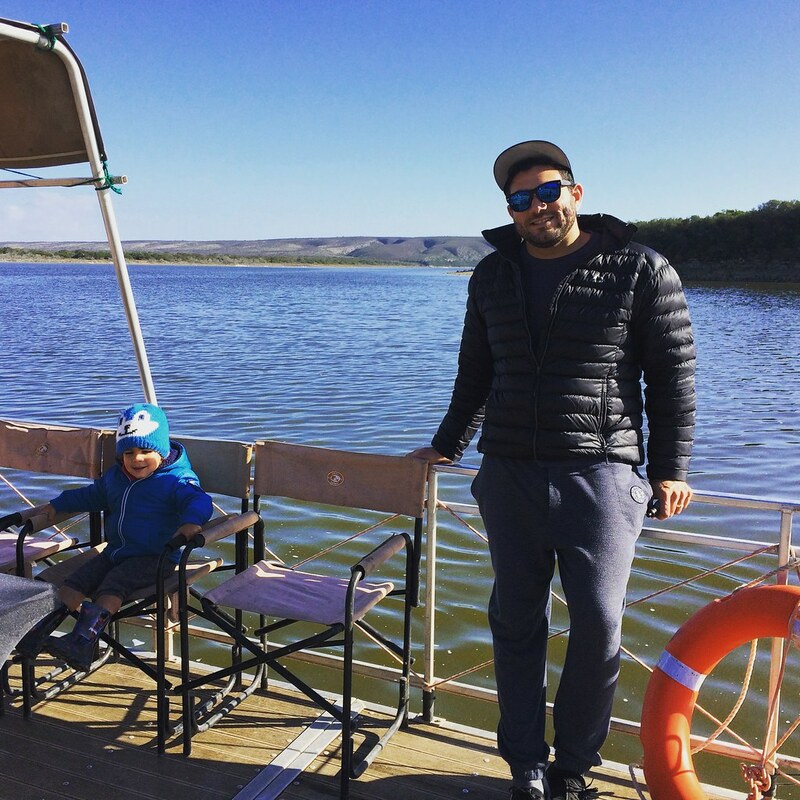 While there are some places that beckon families with open arms and have all the right elements to keep your kids entertained while others make it quite tough for parents to relax and enjoy ourselves. 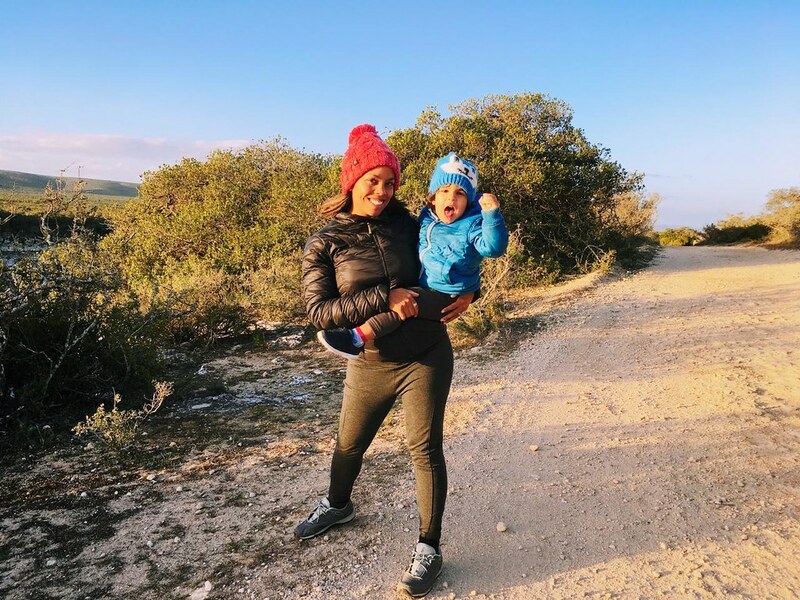 Here we have a list of accommodation we stayed at while traveling down from Nature’s Valley along the Garden Route and how each of them fared when it came to kid-friendliness. 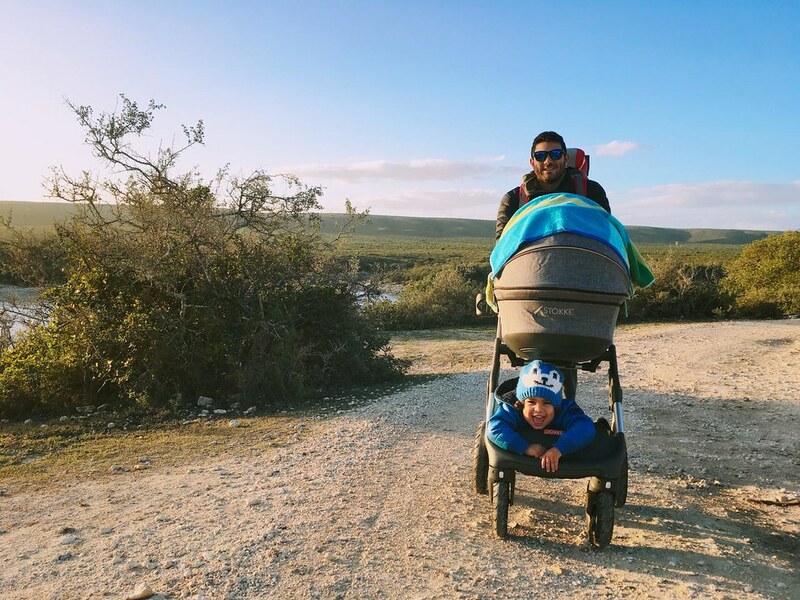 With tents are raised wooden platforms under cover, Rocky Road Backpackers in the greenest part of Nature’s Valley provided a wonderful playground for our toddler. Especially once other kids came to camp, he had a ball running up and down the hill having the best time in the outdoors. We loved that we could arrive and didn’t have to erect a tent but enjoy camping anyway. The lawns are lovely and green and the views of the mountain are quite delicious first thing in the morning. Because it is a backpackers and the tents are a walk from the main building and kitchen; keep this in mind with bottles and other food/drinks that you may need in the middle of the night or early morning. To Note: The jacuzzi is under cover and open for kids to walk to and get in by themselves. This proved quite a hazard and our toddler attempted to get in there without us knowing a few times. Plus the water is really hot. So while staying here you will need to supervise your young kids all of the time. 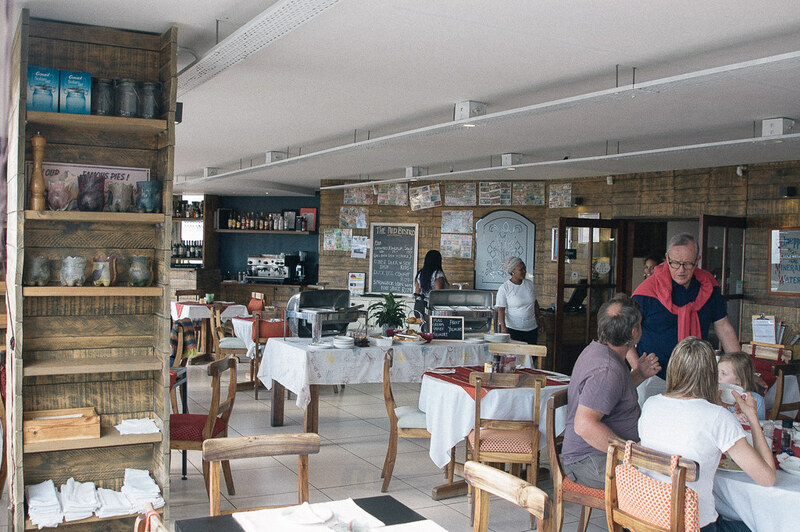 This hotel provided us with a convenient location in Plett which was very close to the beach and all the other restaurants and shops. So if you want to be in the centre of town to walk around, this is a great stay. 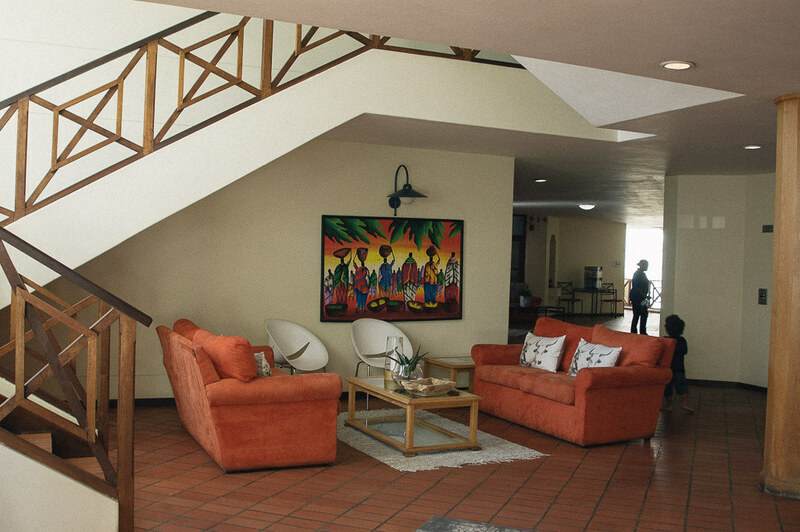 The hotel itself provides no amenities or play areas for kids so keep this stay for one-night stop as there isn’t much to do. Better yet, use it as a base to explore the beach of Plett. 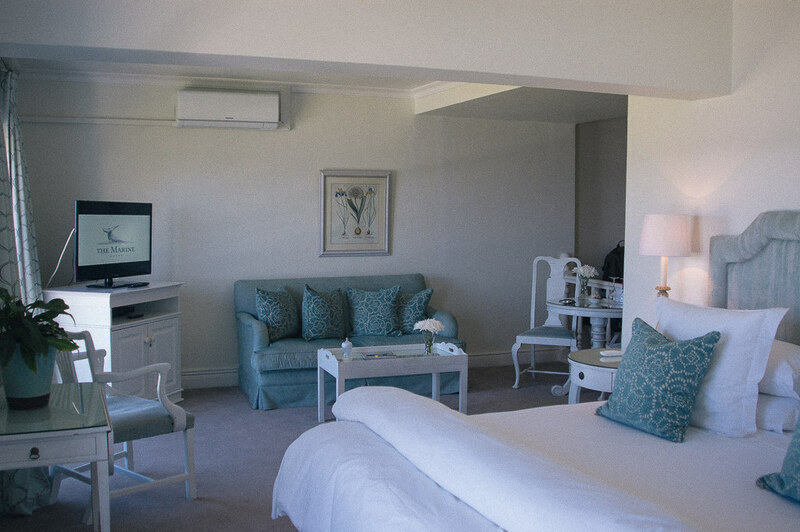 This is an exquisite luxury hotel right in the coastline in Hermanus with the best views of the ocean from your bed. You wouldn’t imagine that this kind of hotel would be child-friendly but the heated pool provided our son with hours of entertainment even on a cold day. 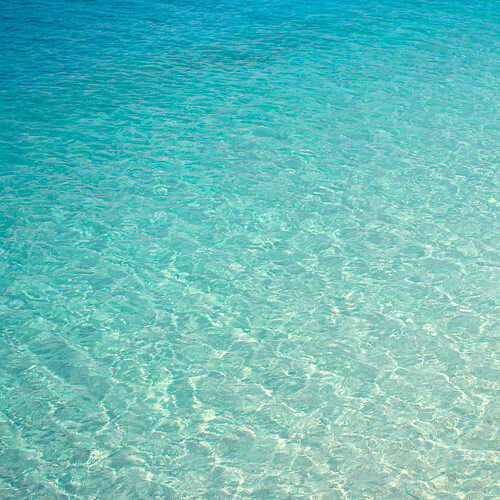 We would bask in the warm sun and jump into the warm water when it got cooler. At breakfast, tea and dinner time staff were truly wonderful in catering to our needs with a toddler and made sure we were served quickly, had a baby chair and got to take dessert up to our bedroom. There’s an outdoor playground a short walk away in front of the shopping centre, a marine pool down the stairs for the brave (in winter, its icy) and a coastline walk. We loved our stay here as the shops and restaurants were a short walk away and Caleb was constantly entertained. 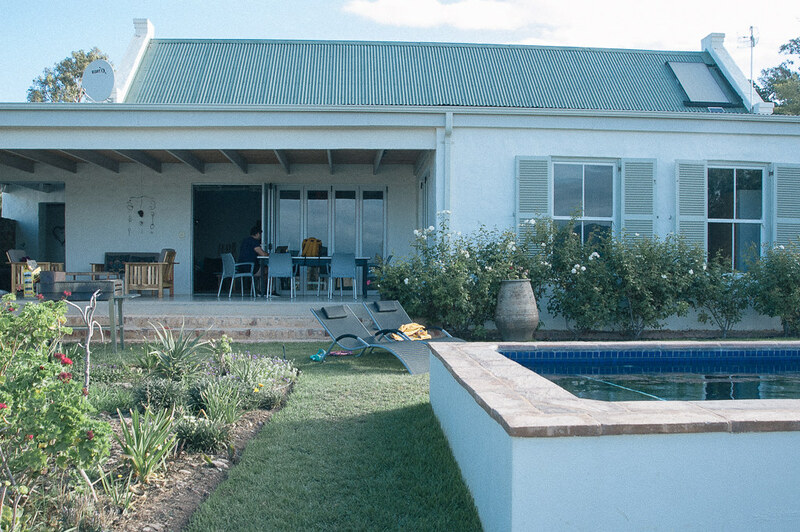 Staying at two beautiful self-catering countryside houses in McGregor was by far the best part of our road trip. 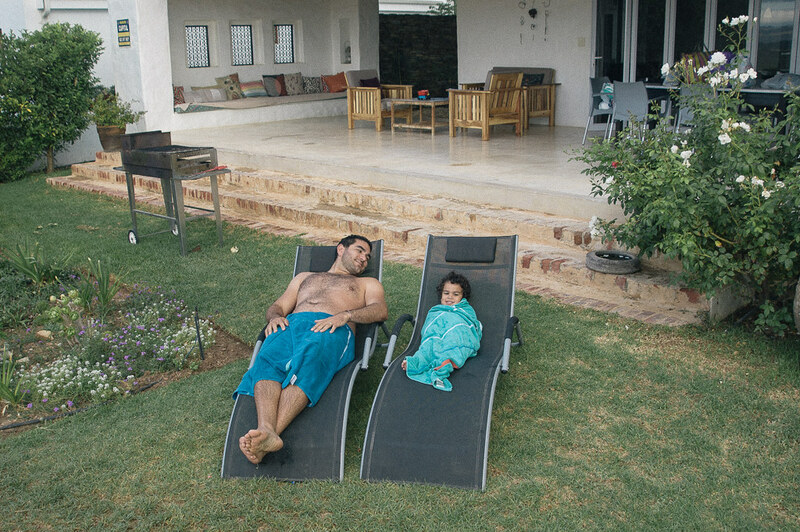 It was private and in both the Kite and Rose House, we had our own pool (which the boys used every day), our own stoep and outdoor areas to enjoy. 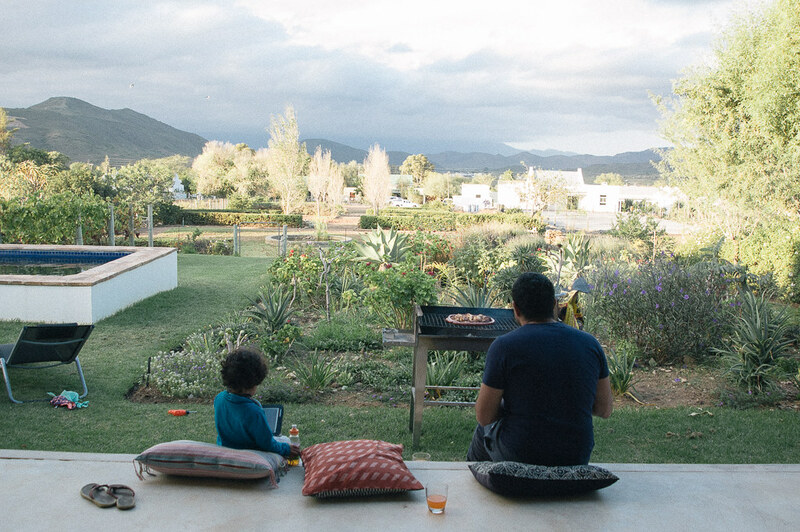 Both had incredible gardens to look at each morning and the Kite House looked out over McGregor, the mountains and a communal garden. 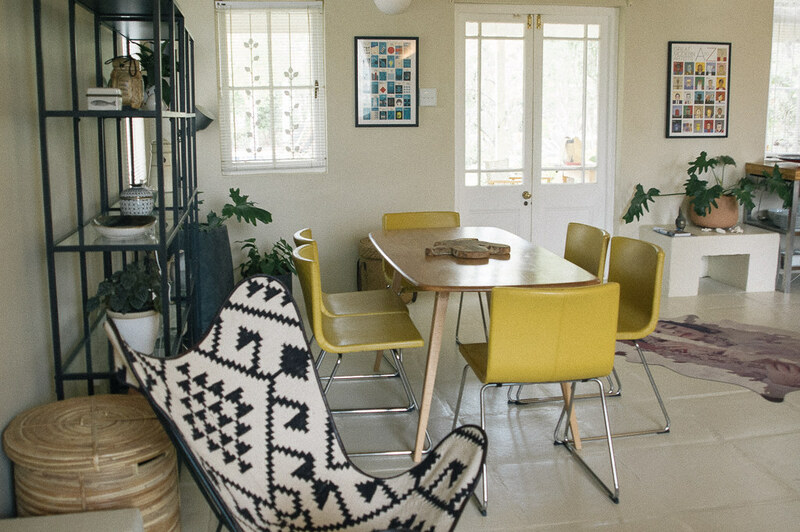 Each house contained elements of decor, styling and furniture that I lust after for my own dream home one day. 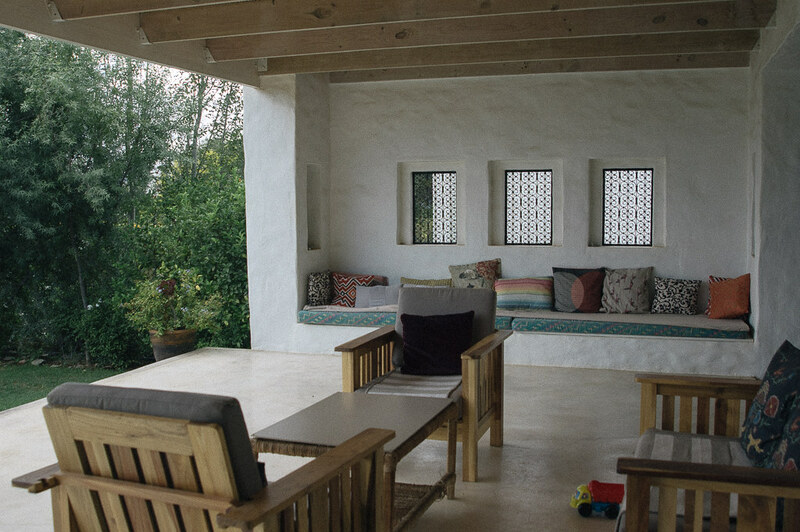 What we loved most about the Kite House: The morrocan-esque courtyward, mini vineyard, garden and lawns for caleb to run in, the pool and the view. 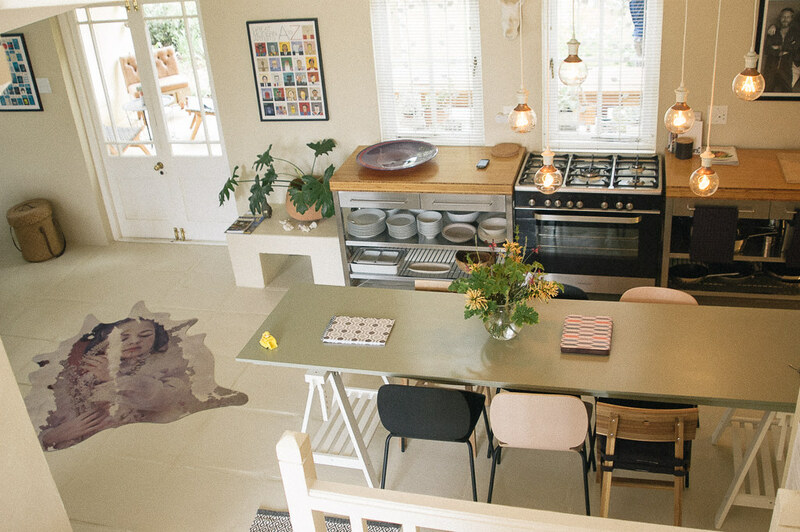 What we loved most about the Rose House: Everything!!! 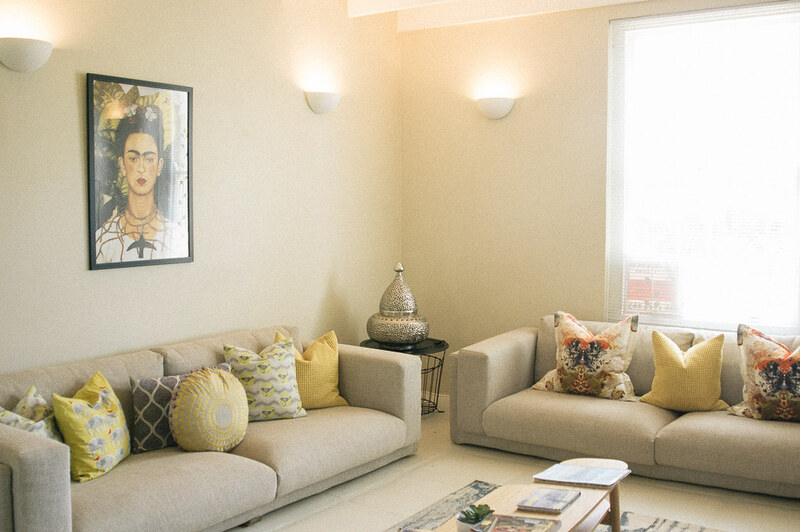 Everything from the modern hanging lights, to the couch, artwork and furniture. Plus the pool on a hot day was magnificent and lazing on the grass afterwards, even better. 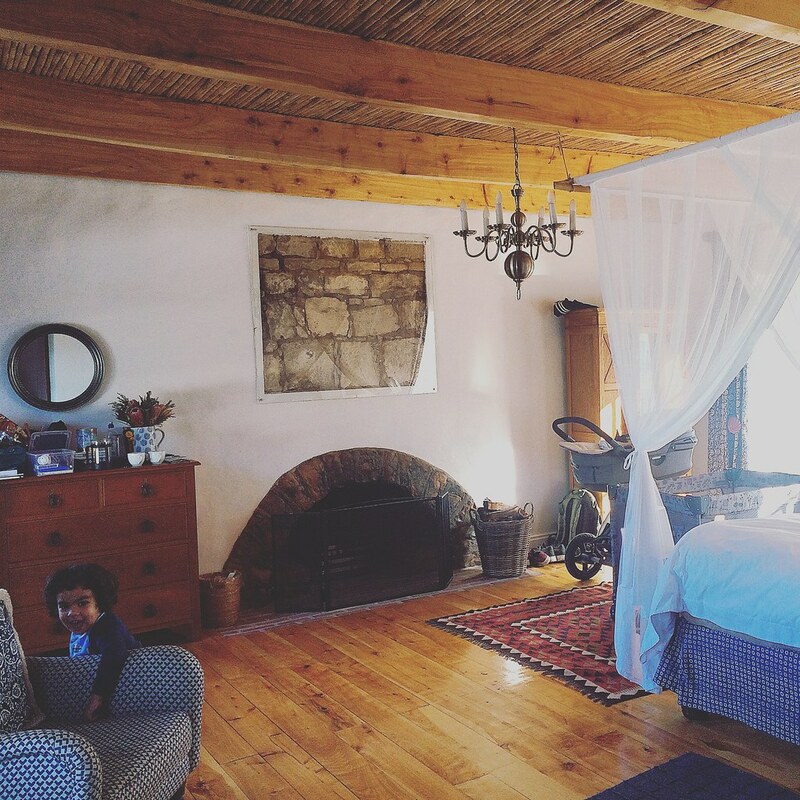 Our stay in the luxury Cloete 1 Suite with our two boys (Joshua only 6 weeks) was delightful and with an indoor fireplace it was all we needed for a weekend away. With a jungle gym outside for Caleb and an eco-cruise spotting birds on the estuary it was a good bet. Caleb is quite busy and always needs entertaining, so we found that older kids may enjoy it here even more as there isn’t too much to do there with him. 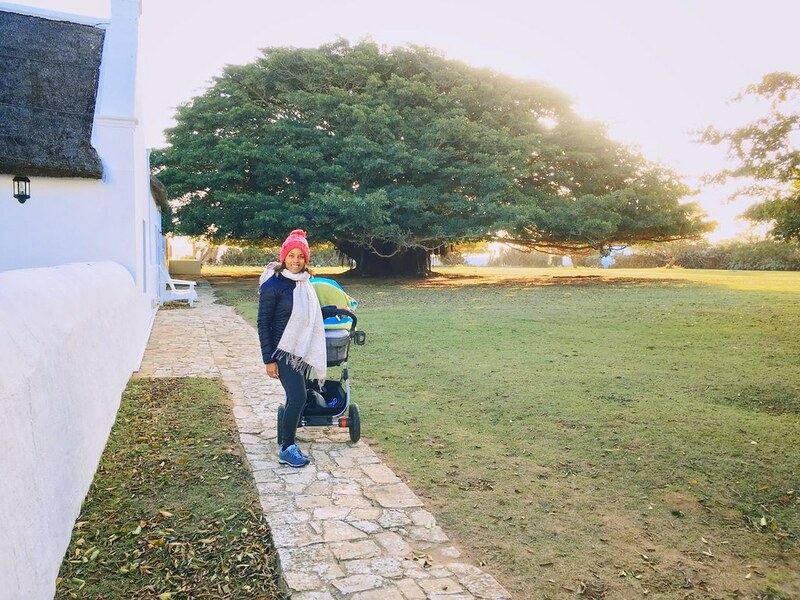 But the bontebok, ostriches, magical trees and cosy dinners in the restaurant plus the wide open spaces make for a great winter break and one we definitely recommend. 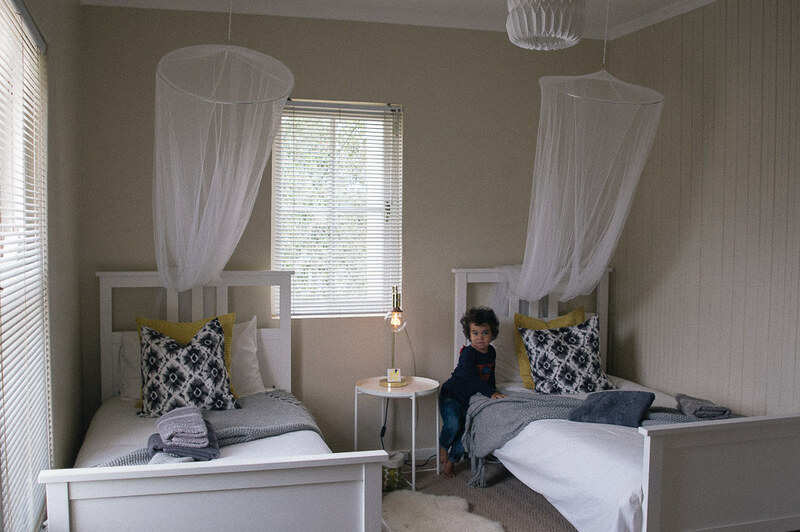 While we didn’t really encounter many young kids here at Blackheath Lodge, we really enjoyed our quick stay here in the heart of Cape Town City. Even though it wasn’t summer, it was just warm enough for the boys to enjoy ( Caleb will truthfully swim in any weather) and their mediterranean-esque courtyard. 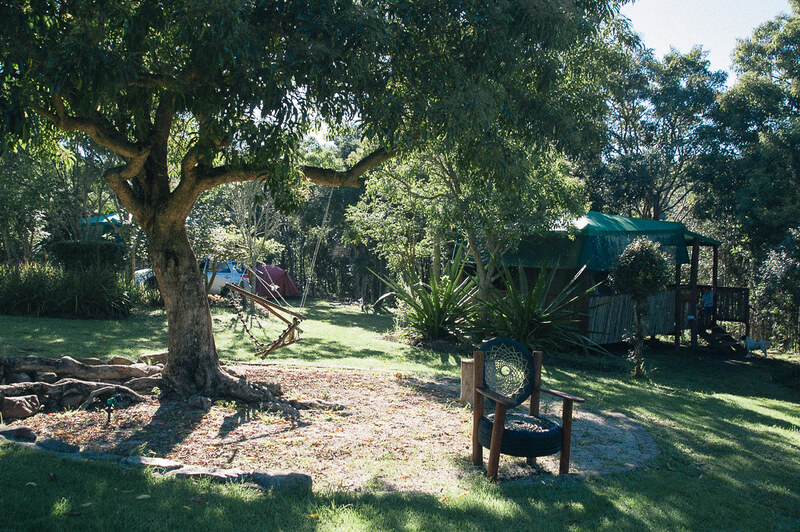 With stairs and not much room for kids to run around, this is great as a one or two night stop and you’ll have to supervise your young kids at all times. Luckily Sea Point promenade with all its parks, playgrounds, bike rentals and the blue train for kids is within walking distance. 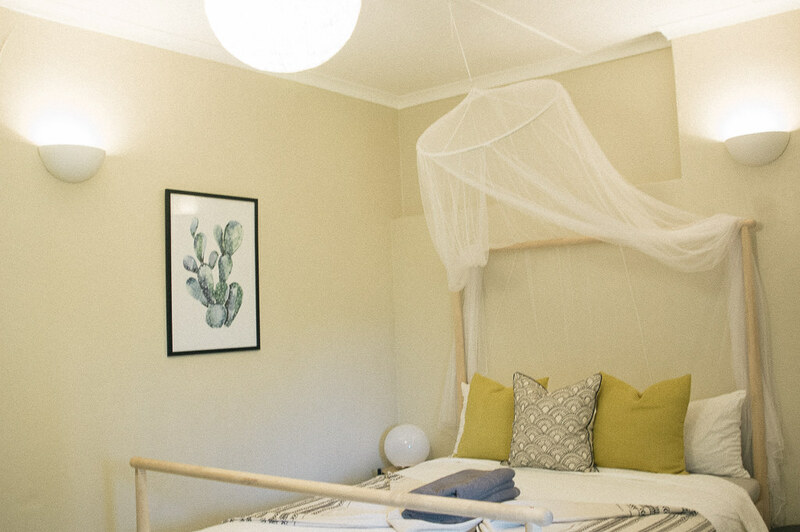 If you’re looking for a getaway along the West Coast, do pop into Sea Shack. 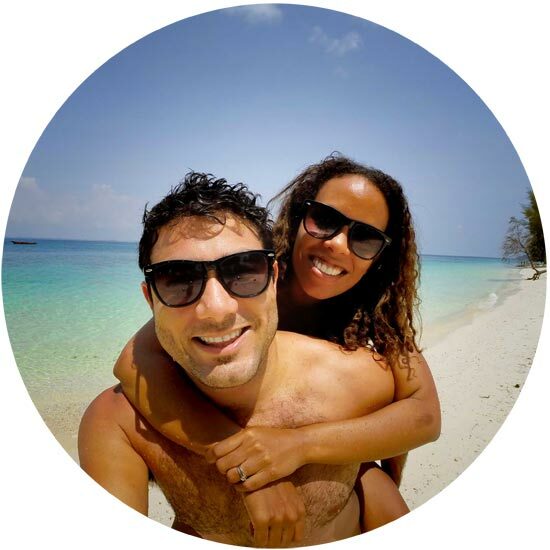 Rustic seafront cabins is all you’ll need here as the stars in the night sky and the ocean during the warm days will keep you more than happy. 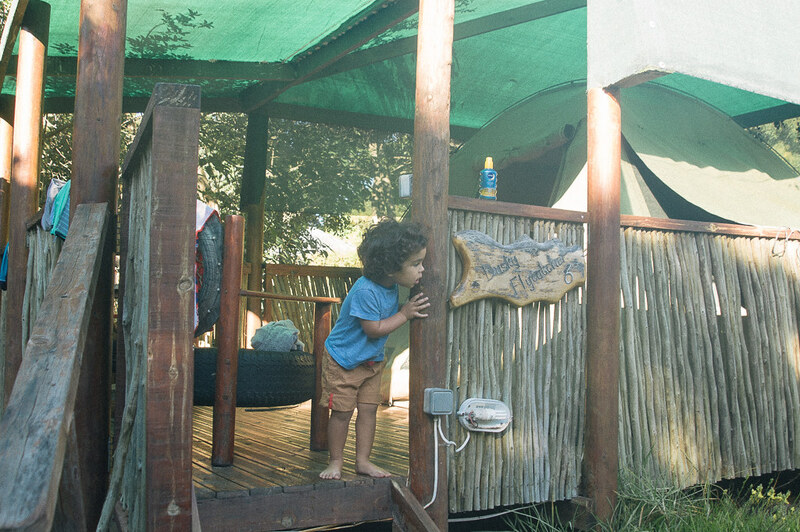 Kids are welcome here but there is no space to add a camp cot into the room or any family rooms. 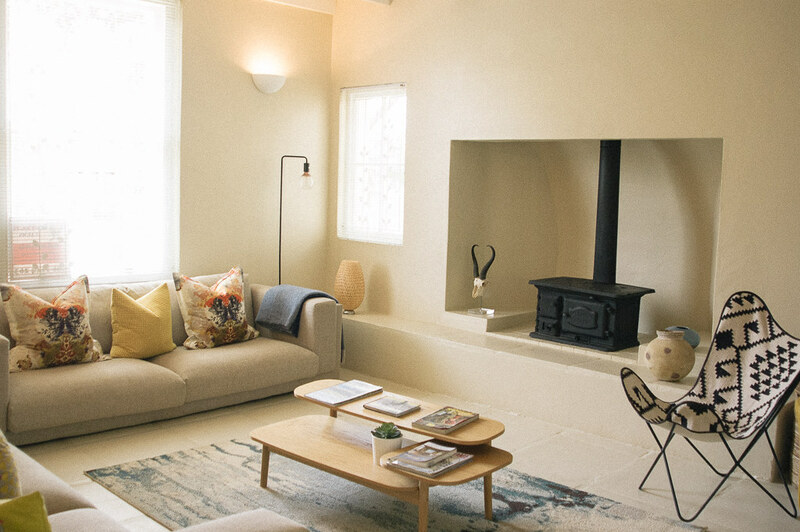 It is definitely more for couples ( given the space just for a double bed in the wooden shack) but if you book two rooms, your older kids can definitely stay too. 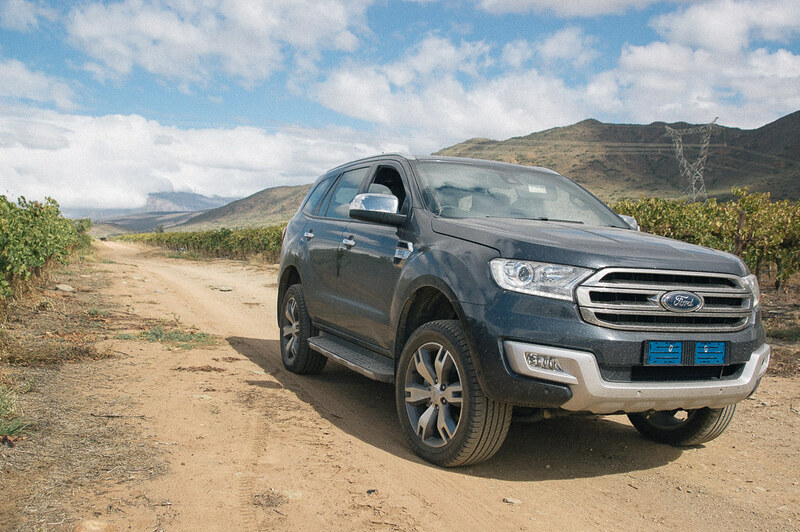 Thank you to Ford for getting us there in the tougher than tough Ford Everest. What a way to see our country and off road! As a family of four with two kids under 3 years old, we truck a lot of baggage around and the Everest had plenty of space. 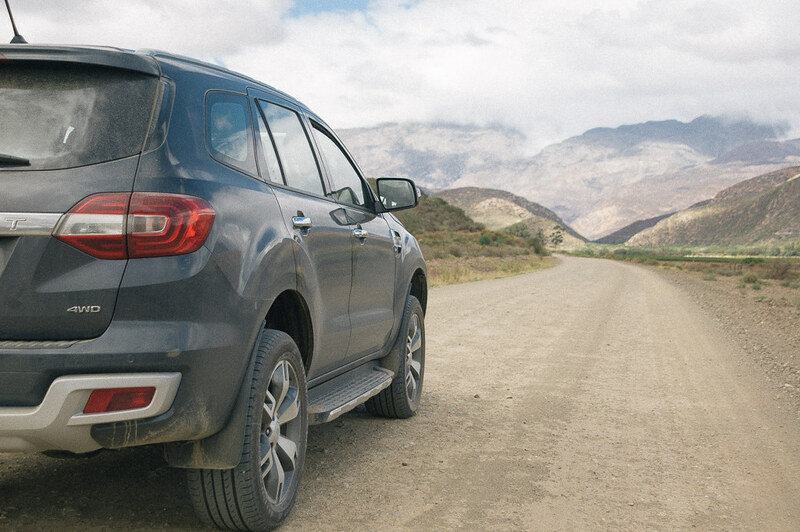 As our travels always tend to take us off the beaten track, we found that this is a vehicle that can handle dirt roads and do well in little towns and cities too. As a female having to drive for about 5 hours up the coast alone, I loved the power that this beast provided on the open roads plus I felt safe in it whilst hitting the long road with my son.